The term dysphagia is what gastroenterologists use to describe difficulty in swallowing. The medical term is used to cover all stages of the swallowing mechanism, from starting to swallow in the mouth to the feeling of food being stuck in the throat. If you suffer from dysphagia, the condition likely stems from an abnormality in the nerves or muscles in the mouth, throat or esophagus. Different tests are performed to determine the type of dysphagia from which the patient is suffering, including the likely causes. Dr. Yamini provides an in-depth examination that will get to the root of the issue and allow his team to provide patients with effective treatment options. Gastroenterologists are specialists in treating gastroenterological conditions, which include dysphagia. If you have problems taking pill medications, you may be suffering from dysphagia. The implications for overall health of not being able to swallow essential medications should not be ignored. Dysphagia can also ruin enjoyment from eating or drinking, which is why Dr. Yamini encourages all sufferers to seek consultation at his offices. If you experience problems swallowing, whether you are eating, drinking or as part of the involuntary mechanism, dysphagia is one of the most likely causes. The nerves and muscles that control swallowing may not work correctly, resulting in difficulty transferring food or drink to the throat or from the throat and esophagus through the remainder of the gastrointestinal tract. Dr. Yamini wants to offer you the treatment you need so that normal activities such as eating and drinking are no longer a challenge. Contact Dr. Yamini’s offices today if you would like to book an expert consultation that may lead to treatment. 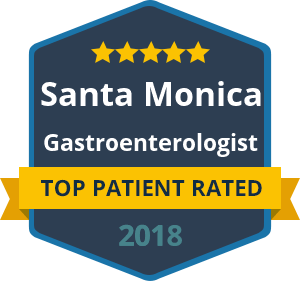 With offices in Beverly Hills and Santa Monica, Dr. Yamini provides easy access to the care you need.